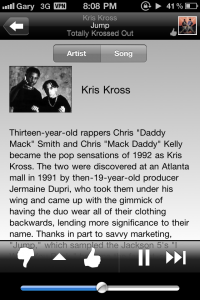 Pandora is one of the best music apps you can get in the App Store. The downside? It’s only available in the US App Store, and will only work in the USA. However, there is a way to download Pandora and use it in Canada (or any other country). All it takes is a US iTunes account and a VPN, such as Hotspot Shield. Let’s get started. 1. Download Pandora by creating a US iTunes account. a) Here’s our tutorial on creating a US iTunes account with a Vanilla Mastercard Gift Card. b) Here’s our tutorial on creating a US iTunes account without a credit card. Once you get your account working, download Pandora from the US App Store. 2. Create your Hotspot Shield VPN. a) Follow this tutorial on how to setup a Hotspot Shield VPN on your iPhone. 3. Once you have Pandora downloaded, activate your Hotspot Shield VPN on your iPhone. Once connected, launch Pandora, and voila–you have it working in Canada. The Hotspot Shield VPN will expire if you’re on 3G (Rogers/Fido blocking VPN?) but should stay connected if you’re on WiFi. On 3G, when the VPN turns off Pandora will show a message that says it “Cannot connect to Pandora”. However, it will still be playing music as it preserves the original VPN connection until you exit Pandora. You won’t have access to on screen controls, but if you’re using iPhone headphones you will regain them! Double tapping the mic button will let you skip and pause songs. Pandora will continue to run in the background as well. Using Hotspot Shield’s iPhone VPN, you should be able to experiment with other US-IP required apps. Let us know how this works for you in the comments!